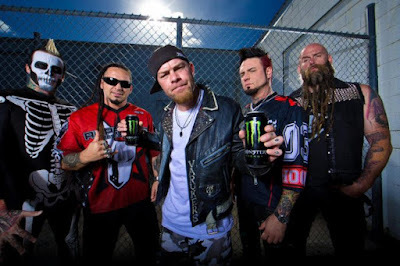 Five Finger Death Punch signed to Rise Records. Rise Records wrote in a statement: "Rise Records have announced the signing of Five Finger Death Punch to a North American recording deal. The first album with Rise Records, the BMG-owned rock label, will be released following the completion of Five Finger Death Punch's obligation to its current label, Prospect Park." Craig Ericson, CEO of Rise Records, said: "I'm honored to be working with one of the biggest arena rock bands in the world. I'm very confident in the future of Five Finger Death Punch and Rise Records and can't wait to hear the music they make with our company." Guitarist Zoltan Bathory said: "We are looking forward to the next phase of our recording career. We have had great success with our current label, Prospect Park, and will continue to enjoy further success with our next and final album (subject to surmounting the label's court action to prevent us from recording it), after which we will commence a new and exciting label partnership with the people at Rise and BMG."